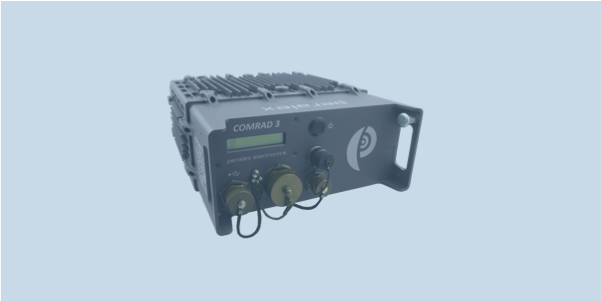 ComRad3 is a direct sampling, multichannel receiver designed for test and evaluation of passive radar techniques that exploit commercial FM broadcasts. Three receiver channels allow for angle of arrival (AoA) measurements. Analog stages, each driving coherently clocked ADCs allow 16 digital down converters (DDCs) to create continuous, simultaneous and coherent channelization. Up to 8 FM band channels can be digitised simultaneously when using 2 receiver channels, or up to 5 FM band channels when using 3 receiver channels to reduce the effects of time-fluctuating modulation bandwidth of FM broadcast band channels and multipath. A GPS disciplined oscillator allows for accurate GPS based time-stamping and coherence over long processing intervals or for deployments using separated receiver configurations.